A gnome to decorate your plant pots or just to sit around the house providing interest. This little guy would make a great gift for any occasion. 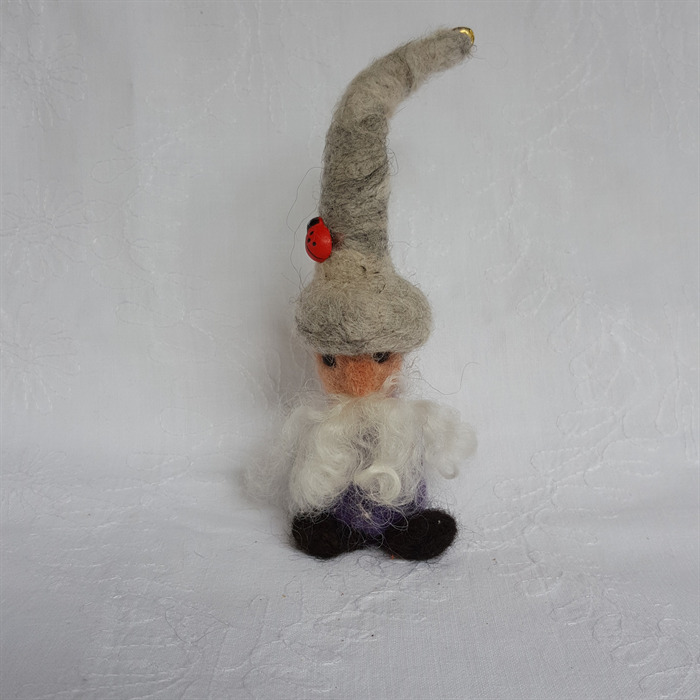 He has been needle felted out of alpaca fibre and his beard is made from the curls of an angora goat. He stands 15 cm from his black boots to the tip of the jingling bell on his hat. This item has been made using needle felting techniques. Each one starts with a tuft of fibre and a specially designed sculpting needle. It takes many hours to complete a single item and thousands of stabs with the needle. All items are made from fibre that comes from my small herd of alpacas and everything is done by hand at my home. Although I ensure that my items are solidly made, they are not intended as toys for children as some parts may be a choking hazard.